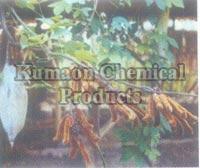 Mucuna or Cowhage is a common plant throughout India. It is a herbaÂ­ceous twinner of legume family. Leaves grey silky, trifoliate. Leaflets ovate or rhomboid with unequal base. Flowers purple borne in axillary, pendulous racemes. Pods curved ribbed, clothed with grey or pale brown bristles. Seeds ovoid. Seed and its preparations used in the treatment of Parkinson disease. Seeds are used in herbal formulations as an aphrodisiac and nerve tonic. In a research study the seed showed antihypoglycaemic effect.